Linda has always had a fascination of the stars and as a child could identify the plough. In the early 80’s, she visited India and learnt about the planet of the day and the Indian’s fascination with astrology. On her return, she met a group of astrologers who read her chart and recommended a few books to read and from that point onwards there was no looking back. Linda began her study of astrology with an ILEA adult course and then went on to study with the Faculty of Astrology. She holds a qualification in chart calculations, with distinctions. For five years, she worked as a volunteer for the astrology study centre, Urania Trust, answering queries about astrology and helping to sort out the library. In 1990, Linda went to her first Rainbow Circle Astrology Camp and gave workshops the following year. This eventually led to her being a coordinator of the Astrology Camp. She was also part of a group who had astrological supervision and underwent two years of personal counselling with an astrological councillor. Over the past 32 years, she has run numerous astrology groups and experimental workshops. She works with the planet of the day and helps people to connect to their charts by making astrological shrines. By building a shrine to a particular planet, Linda helps ground the energy and encourages a personal contact with that planet, especially helpful when experiencing a difficult transit. Linda has trained as a bereavement volunteer and uses these skills in her astrological work. 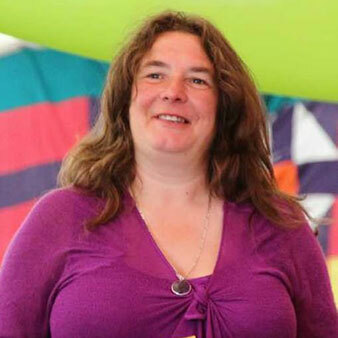 She works with the Wheel of Astrologers doing personal readings at festivals such as Glastonbury and also works as an astrologer at various different camps. Linda gives professional chart readings from her home, over the phone and via skype. Linda runs an astrology group in Hereford and also in the Forest of Dean.